If you are feeling like your employees have lost their passion for work then they may need a morale boost. After all, your team having low morale can lead to decreased productivity, poor cooperation and they will be less likely to work together as a team. 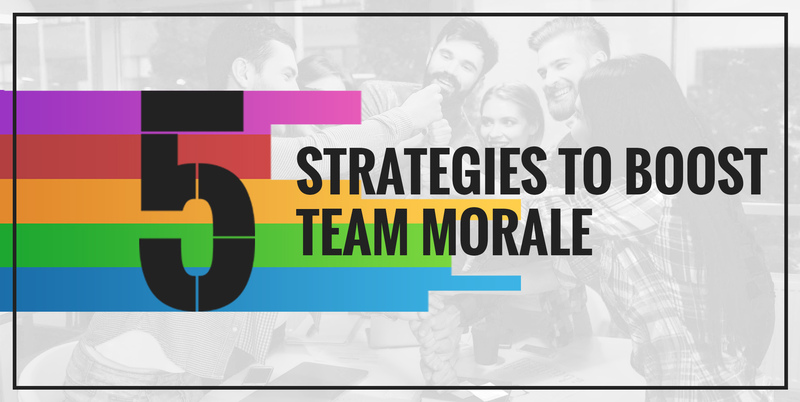 And since team morale can be the be all and end all of a business it is important that you make sure you are always keeping a close watch on your team and perhaps try out some of these strategies and tactics that will help boost team morale. 1. Always Make Sure You Take Time Out to Creatively Celebrate Accom­plishments. If accom­plishments aren’t taken into account, then your employees may feel as though you don’t appreciate their efforts to accomplish various things. And you will find it is normal to focus on the deadlines ahead but instead you should take more time out of the working day to reflect on accom­plishments together as a team to see how far you have come. A good way to celebrate accom­plishments would be with a team building activity! 2. Give Employees Different Projects That They Will Be Passionate About. Sometimes by giving employees their own project to pursue you will find that they will break away from their regular tasks and it will give them a new lease of life because A, anything that is different from their day to day tasks will sound interesting and B, by making sure it is something that they will be interested in you will find their morale is instantly boosted and they will complete the project quicker. 3. Change Things Up from Time to Time. Sometimes daily routines can put people into a boring and tired way of life and that shouldn’t be the way, especially in work. After all the average human spends a third of their life in work so the last thing they need it to be is predictable. A good way of getting around this is by changing things up from time to time, perhaps organise a meeting to discuss new ideas, add some team building into the day, or a work competition. 4. Keep Employees Feeling That Work is More Than Just a Job. Everyone in work wants to feel like what they are doing is making a difference and they are appreciated for the work that they do. So it is important to make sure that you show your appreciation for your team when they have done well and perhaps show them what their work goes towards. This strategy is pretty simple but one that most businesses don’t do enough! It is important to make sure you incorporate fun into the working day. This will keep your teams spirits high and it will make them enjoy coming to work and completing their tasks.